I made the top during yet another snow storm last winter. 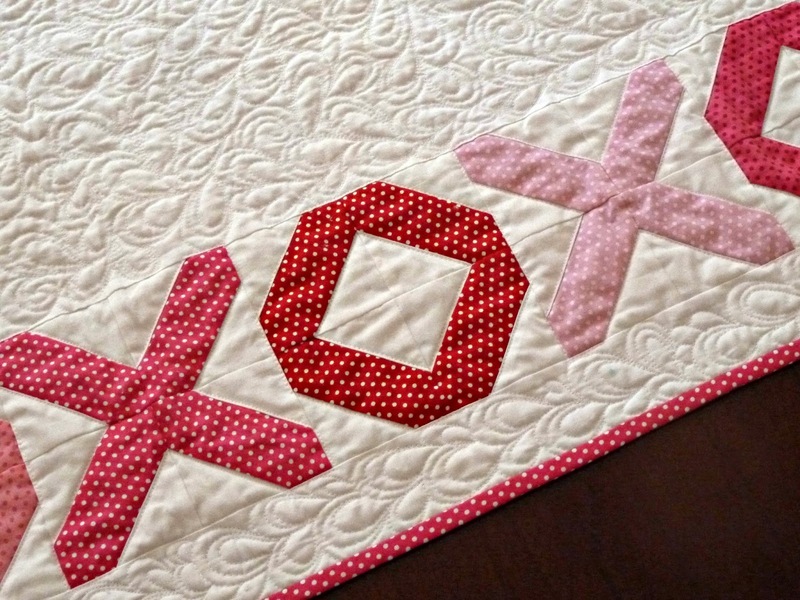 The plan was to have it done in time for Valentine's Day but as usual it got dropped while I figured out a plan for the back and quilting. I decided August was time to tackle the UFO pile so I pulled this out and got to it. 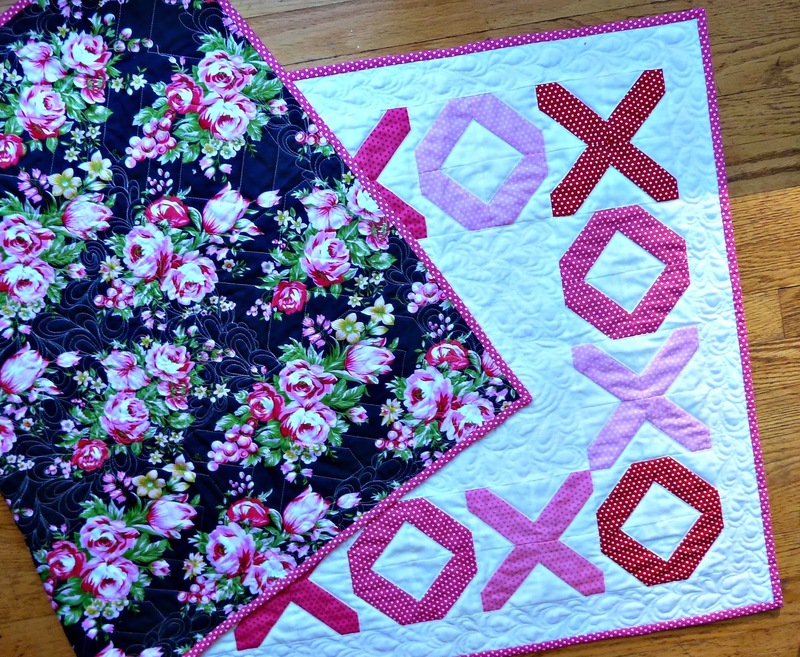 I love the texture the quilting gives it. I went with my usual heart paisley in the center section. It seemed like an endless expanse of white but it actually went pretty quickly. Doing the stitch in the ditch around the letters actually took much longer. It's easy to do but there are lots of starts and stops and turns. I finished it off with more paisley in the outer border. The quilting really shows up on the back! I finally dug in to my Jennifer Paganelli stash... it's the perfect complement to all these pinks and reds. I was really on a roll and I had a couple of extra blocks so I whipped up some matching coasters. Love these!!! 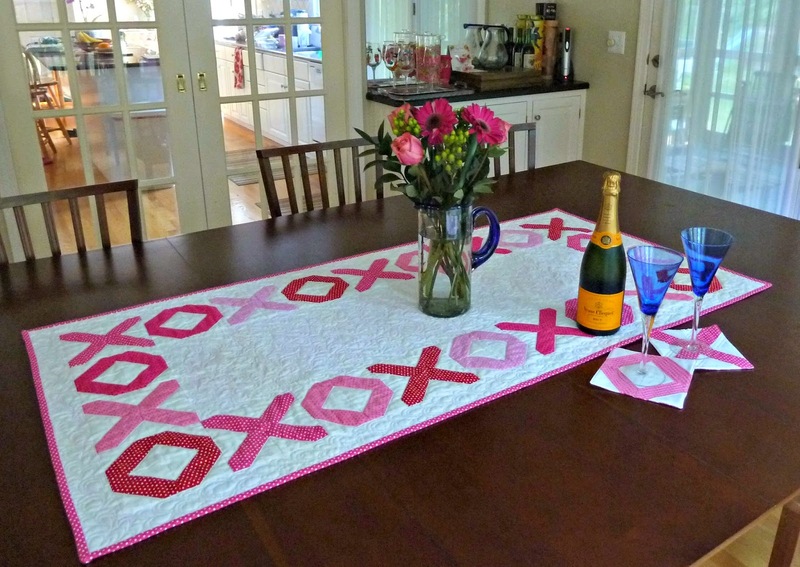 Linking up to the fabulous Finish it Up Friday by Crazy Mom Quilts. Finished quilt is 28" x 57"
Fabrics: Spot On by Robert Kaufman, Bella Solids Bleached White. Backing: Midnight Melody from Sis Boom's Beauty Queen Collection. Happy Anniversary, Young Ones! We just celebrated # 48. 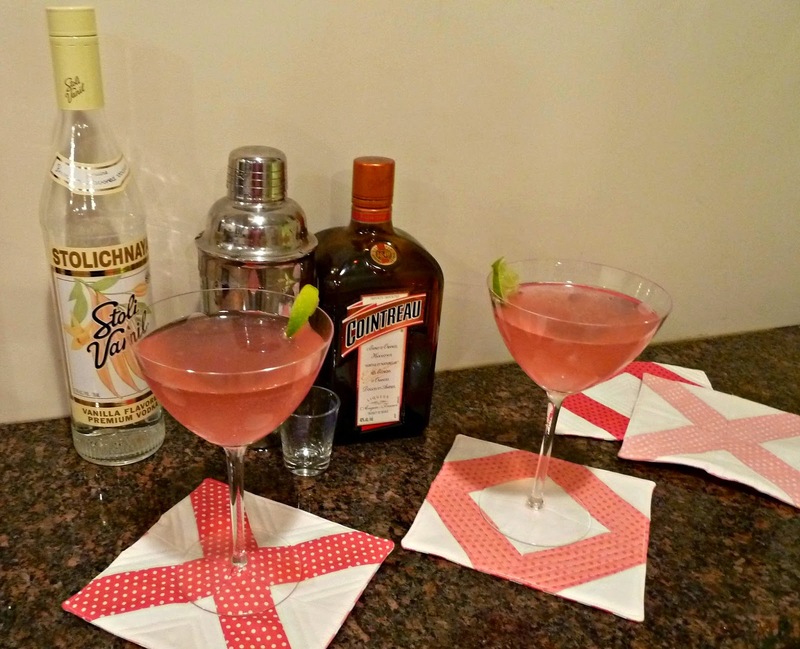 Table runner and coasters are perfect and you even had color coordinated drinks...very clever. Nice finish Alice. I love the size. It doesn't get lost on the table. Congrats on 15 years! Happy 15th - it's adorable! 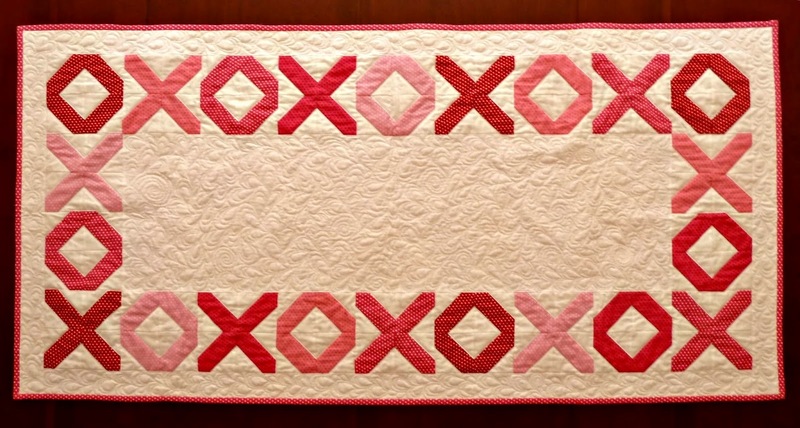 This is lovely, I love your heart paisley quilting. You're so right the free-motion quilting goes faster than SID. Happy Anniversary and may you have many more! Such a darling runner and coaster set. I love almost anything for Valentines, but it is also great for an anniversary.